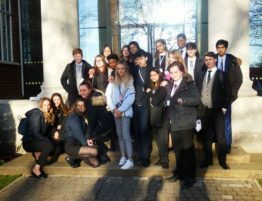 The Royal Russell students have now returned from a very successful THIMUN conference. 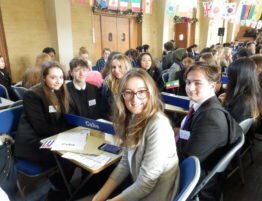 Our delegates did really well in the committees. 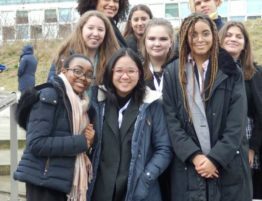 Despite there being 3,000 delegates at the conference 6 of our students managed to be main submitter or co-submitter (and 1st yield) on a resolution that they presented in their committee – Pippa, Stevie, Nikita, Megan, Ella and Ben. All of them managed to pass their resolutions – an achievement we haven’t equalled for many years. 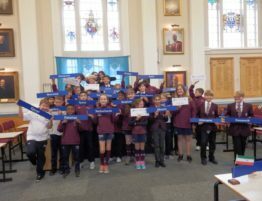 All of the other students spoke in their committees. 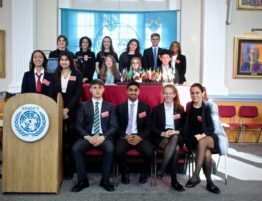 Lucas continued chairing in ECOSOC where he did an excellent job – calm, unruffled and professional. On the press team Claudia, Max and Peter were real stars. Claudia produced an amazing selection of art work whilst Peter and Max wrote some very thought provoking articles. Peter interviewed David Williams who has written a book commemorating the first 50 years of THIMUN. 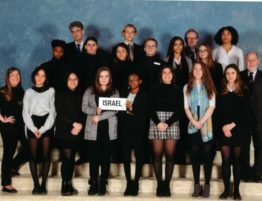 Royal Russell is discussed as the first school to affiliate to THIMUN (there are now over 50 worldwide) and the first school which received a delegation from the Hague schools back in 1982. 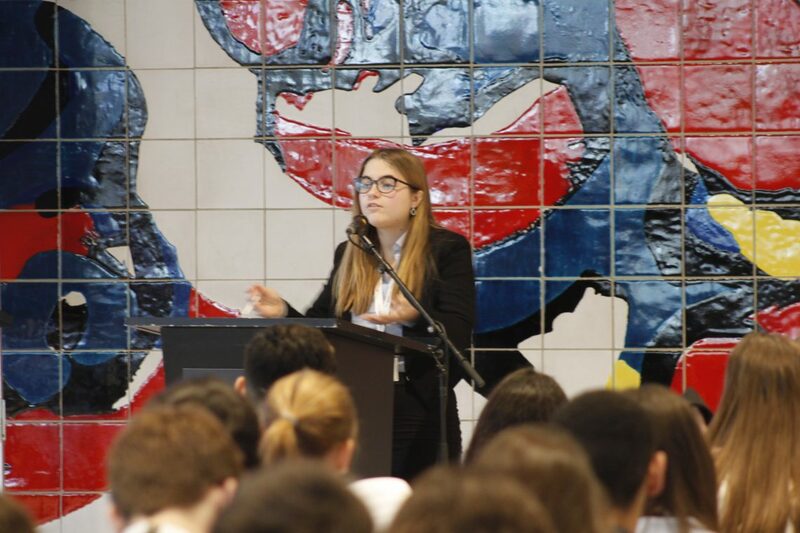 One of the delegates at that conference was the current King of Netherlands then a 16 year-old. He opened the conference this year. The closing ceremony was a more dramatic affair with loud drummers and a flag waving ceremony with our ambassador, Stevie, energetically waving the Ghana flag. 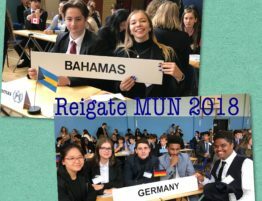 15 RRS students have returned from the Hague after a very successful week at THIMUN….